Josh felt miserable and a little anxious and afraid. His name had not been announced in the top three students of his class at the annual School Prize-Giving night this year. He had seen Rosh’s shock and incredulity at the announcements turn into anger. His father had been silently seething as they drove back home. “What happened?” was all he had asked Josh on the way. “I don’t know”, was all Josh had been able to reply. Rosh fought internally to control his temper as the family gathered around at the dinner table. His knew Josh was intelligent. But it was clear that he hadn’t worked hard, letting supposedly lesser talented kids in his class overtake him. “They aren’t in my league,” he had said at the beginning of the school year. Dinner was eaten in silence. As the empty dishes were being removed from the dinner table, Rosh began to speak, “Whether we like it or not, our education system has become a race." “Sometimes it's just luck Rosh,” interjected Isha, sensing his anger. “I think I got over-confident Pa,” said Josh, slowly getting up from the dining table to walk away. Hosh got up with him. As they walked out towards the garden together, he put his arm around him. The brothers were quiet for a long time, sitting very still on the step leading into the dark garden. “You didn’t study in the holidays Josh, and you didn’t focus during the year. Things were too easy for you, so you digressed. You had to keep up your momentum, but you didn't." “If you give someone a head start, Zeno argues that technically you can never catch up to them, no matter how fast you run. 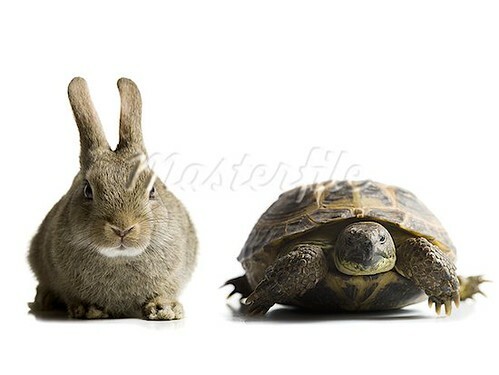 This is because by the time Achilles reaches the point at which the Tortoise started, the Tortoise has already advanced ahead of that point." “You might laugh away the conundrum, but leaders in a any race do have a psychological advantage that becomes quite hard for followers to overcome in most cases. That is why stories are made and told where they do overcome these odds." “Yeah, that they won’t," answered Rosh, "Did you know a version of this fable was written about a hundred years ago by Lord Dunsany in his book called "The True History of the Tortoise and the Hare". What you fear is what happens in that version. 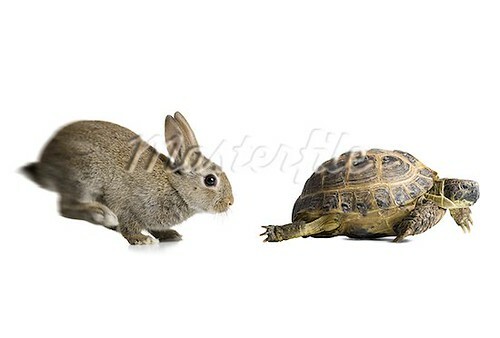 The hare realises the stupidity of this challenge and refuses to run." 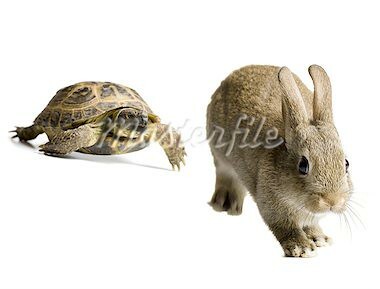 "But the show must go on, so the tortoise starts alone and finishes his race eventually. He is crowned the victor. But things fall apart when animals decide to dispatch their fastest on a critical mission. They send the Tortoise, and their world is annihilated." "You can't create speed where no potential exists. But the society wants its competitions. It must create winners and losers. And then it opens doors for winners and closes them for losers." "You can create doctors by reserving seats for the children from historically oppressed sub-classes within society or by giving the non-meritorious Medical College admissions if they pay appropriate donations, but will you go to such doctors for treatment when you need care yourself? ", Rosh fumed. "That's an issue for another day, my love” Isha sighed, "Isn't it possible that we could have over estimated our child's potential? We are definitely unaware of the potential in others." "He may not be a hare afterall. That will not make him less of a man, nor make you love him less. But if he is a hare as you foresee, we need to focus on ensuring he doesn't go to sleep again. Now come, let's sleep on it." She took him by the hand and tucked him in his bed for the night.